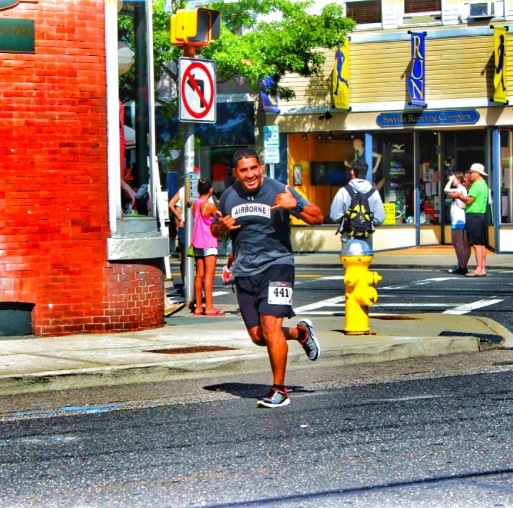 Ronald Hurtado is the founding member of Airborne Tri Team. Raised in Staten Island, NY he joined the United States Army in 2006 at age 25, leaving behind his daughter and later on his son to fight against the war on terror. He got stationed with the 173rd Airborne Brigade before deploying to Afghanistan for over 15 months. He came back from deployment in 2008 and moved to a support unit in Fort Benning, Georgia. After two years, he had the opportunity to be closer to his family and be part of the recruiting company on Long Island. This is where he got introduced to several companies that are helping veterans and discovered his passion for helping others that had also embarked on a similar journey as him. While in the military he earned several recognitions and awards including the Combat Action badge. Having been deployed himself, he knows first-hand the difficulties that soldiers have to deal with. He discovered his passion for bike riding and how much it has helped him to overcome the invisible wounds of war shortly after his return to Long Island. He pulled together a team of wounded veterans and active duty soldiers and created Team Airborne, which then evolved into Airborne Tri Team, to participate in and finish several triathlons and 5/10k runs as well as a half-marathon. He also completed WLC, ALC, AIRBORNE SCHOOL, LONG RANGE MARKSMANSHIP COURSE. Army Achievement Medal (AAM) (3), Army Good Conduct Medal (3) Humanitarian Service Medal, Nato Medal, Afghan Campaign Medal, Overseas Service Ribbon (2) Army NCO Professional Development (2) Army Service Medal, National Defense Service Medal, Combat Action Badge. We are one Team and one Tri. We are AIRBORNE TRI-TEAM!